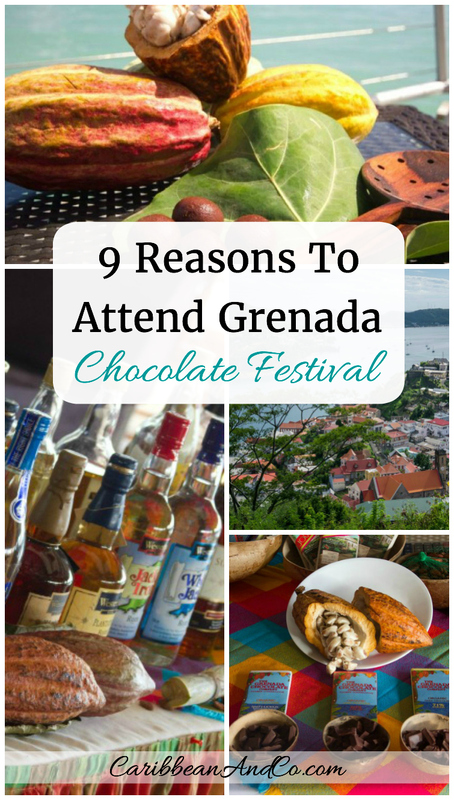 9 Reasons To Attend Grenada Chocolate Festival - Caribbean & Co.
1. 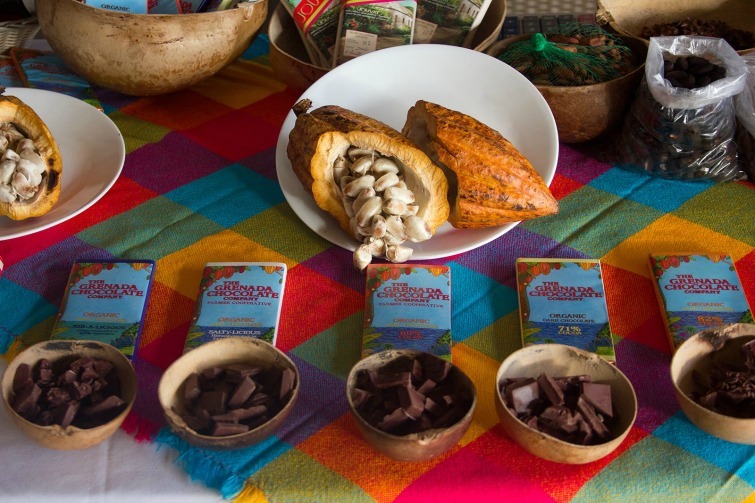 Partake in a unique visitor experience based around Grenada’s pure, delicious, organic and sustainable cocoa and chocolate. 2. Become a farmer for a day and experience the old fashion and ethical way to grow and pick organic cocoa. 3. Learn from Grenadian artisans how hand-made, small-batch, ethically-produced, tree to bar chocolate is created. Cocoa pods, beans and chocolate bars from The Grenada Chocolate Company. Photo: ©Flickr/GrenadaChocolateFestival. 4. Discover the aromas, flavors, scents, and benefits of luxurious pure cocoa butter and chocolate. 5. Take a journey through the history of chocolate, barter with cocoa beans as the Mayas did, learn to grind cocoa the old fashioned way and taste a wide range of decadently delicious chocolate food and desserts. 6. Kick back and relax with their friends while indulging with aromas of locally brewed chocolate beer and rums. 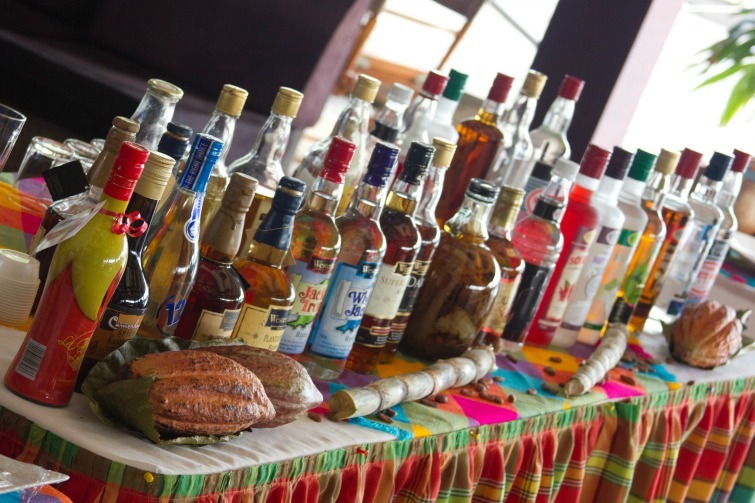 Grenadian rum and other ingredients for chocolate inspired cocktails. Photo: ©Flickr/GrenadaChocolateFestival. 7. Dance to local drums by a bonfire at the beach, enjoying chocolate Pina Coladas and other exotic chocolate-inspired Caribbean cocktail. 8. Learn about other Caribbean and Latino American chocolates. 9. Discover the beautiful and pure island of Grenada, its friendly people, and a pristine natural environment. 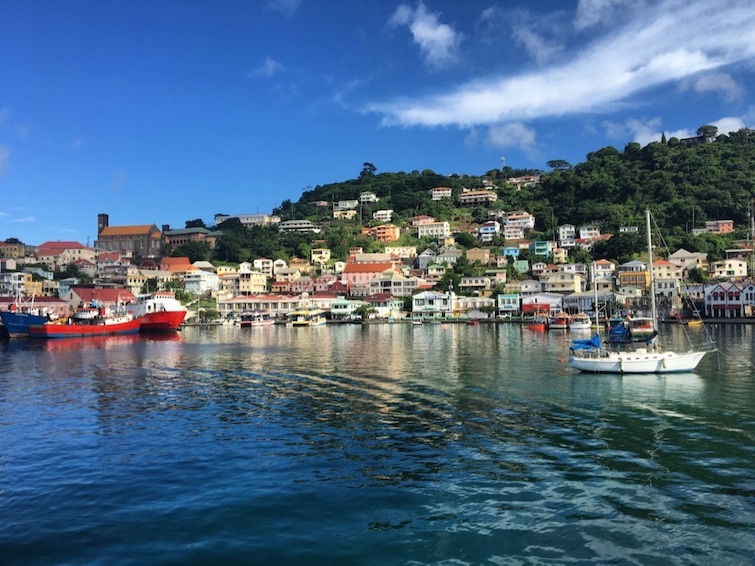 With the myriad of coca-related events and activities planned, chocolate lovers staying at the True Blue Bay Resort or Mount Cinnamon Resort and Beach Club — another host for the Grenada Chocolate Festival — are sure not to be disappointed. And really, there is no better place in the Caribbean for this experience than Grenada known as “the Island of Spice, due to its position as a leading producer of spices including cinnamon, cloves, ginger, mace, allspice, orange/citrus peels, wild coffee, nutmeg, and organic cocoa.” Plus Grenada at 133 square miles (344 square kilometers), with an estimated population of 110,000 is also home to miles of unspoiled white sand beaches, verdant green rolling hills, mountainous peaks, winding rivers, and cascading waterfalls. These two things combined make Grenada the perfect Caribbean destination for chocolate lovers! For flight and hotel deals to Grenada and the rest of the Caribbean, check out our Caribbean travel partner, Expedia. For just hotel deals in Grenada, visit HotelsCombined.com which compares prices across all the major travel sites.